Dada was an artistic and literary movement that began in 1916 around "Cabaret Voltaire" in Zürich, Switzerland. It arose as a reaction to World War I and the nationalism that many thought had led to the war. 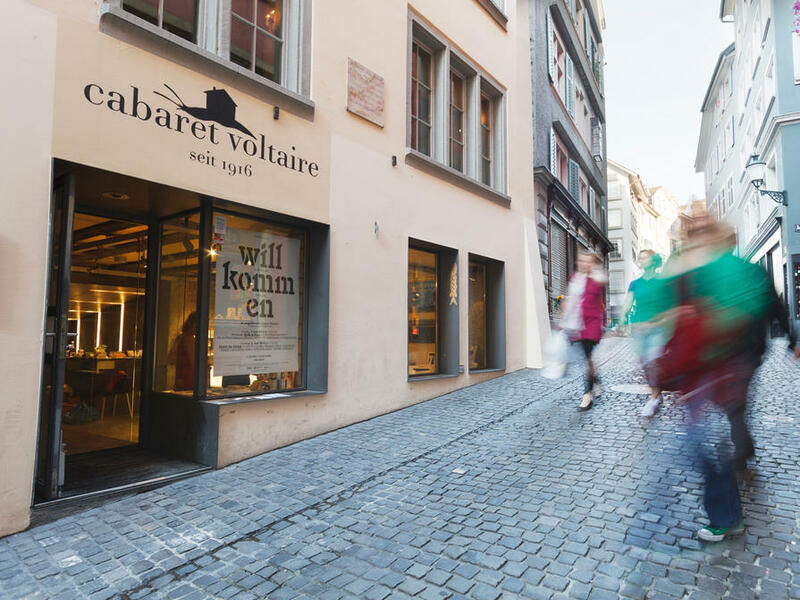 During 2016, Zurich is celebrating the anniversary with a full range of events (special exhibitions, performances, theater plays, conferences, etc.). You can read all the info in the Dada100 web. Influenced by other avant-garde movements, its output was wildly diverse, ranging from performance art to poetry, photography, sculpture, painting, and collage. Dada's aesthetic proved a powerful influence on artists in many cities, including Berlin, Hanover, Paris, New York, and Cologne, all of which generated their own groups. The movement dissipated with the establishment of Surrealism.